The "Most Illustrious, Faithful and always Heroic City of Alicante", as is designated by former royal titles, is an attractive port city which lies on the coast of the Mediterranean Sea, surrounded by hills, with white sand beaches, nice climate, rich history told through numerous architectural works and tourism infrastructure in constant development (including the modern Alicante airport) since late last century which makes of the city one of the favorite destinations for visitors from all around the world. 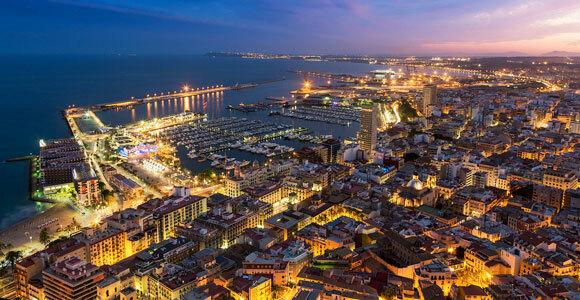 It is the capital of Alicante province that conforms, along Castellon and Valencia, the Autonomous Community of Valencia. 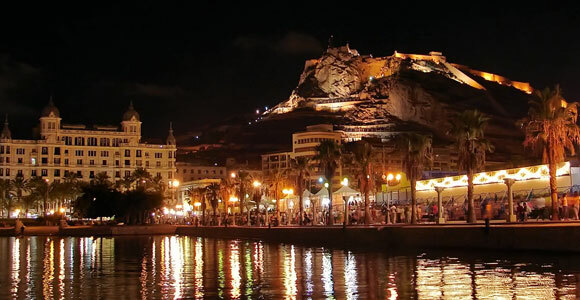 The city of Alicante has numerous routes proposing several alternatives to its many charms and attractions, among which we can establish some key areas to enjoy the tourism: the historic center, harbor, beaches, areas of trade and hiking. They refer to their striking and perfectly preserved historic center as "El Barrio" and is characterized by having numerous bars and restaurants to cater to visitors from an intimate and cozy atmosphere that characterizes the properties and homes with traditional architecture enriched with musical recitals and exhibitions. In El Barrio are attractive places of interest including the Cathedral of St. Nicholas. In El Puerto, as known to the important port area with its modern marina which is the ultimate platform from which numerous centers spread, you can taste the delicious cuisine from a port scenario. Whether on a high class restaurant or a popular seafood restaurant. For its quality of port city, commerce and tourism are economic activities whose potential is exploited and promoted by local authorities and residents who spend much of their ability to develop these areas, that's why we can find a varied and interesting offers in shopping at their local markets dominated by premium handcrafts, highlighting work with fur, decorative handcrafts and modern shopping complexes that receives the accessible and average buyer to luxurious buyers. 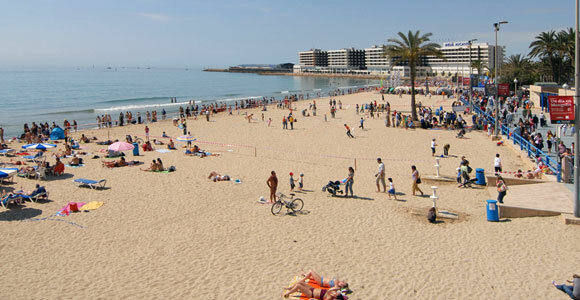 Alicante beaches are spectacularly beautiful, with a climate which annual average temperature is calculated in 19 degrees Celsius and about 2500 hours of sunshine throughout the year. White and golden sand, safety and abundant provision of services make this beaches something to be aware of. 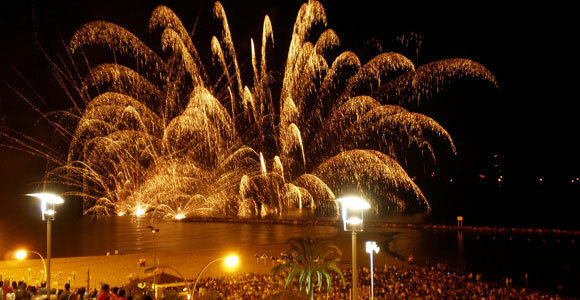 Finally, entertainment is guaranteed through various cultural activities and entertainment such as film festivals, theater, classical music, jazz and modern which, along with the popular festivals celebrated as Easter with their mass pilgrimages, the ramblero carnival and the bonfires of San Juan (a festival of several days characterized by constant and amazing fireworks) ensure an unforgettable experience in this beautiful Mediterranean city.